It’s April in Paris – and that means expat contracts are up for review. Are you thinking what I’m thinking? 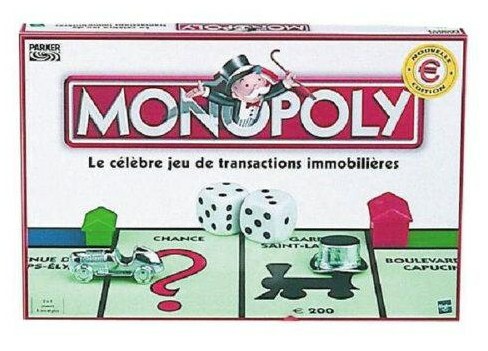 Let’s play MOMopoly! Quai Branly: German Mom was living the high life in a three-story apartment on one of the most coveted streets of Paris. Until her bigwig husband was called for more international service – in Indonesia. Jealousy Factor: 9 out of 10. A. Triplex. Apartment. Overlooking all of the losers (La Mom included) that sail by on the Bateaux Mouches. Rue de la Paix: Midwestern Mom frequently complained about her 170 M2 (1700 square feet) 4-bedroom apartment a stone’s throw away from the Ritz. Jealousy Factor: 7 out of 10. Midwestern Mom, you lost me at playroom. Say it with me, Parisian Mamas – MMMMMM…Playroooooom. Most Parisian apartments don’t have one. Unless it’s a converted broom closet. But any hardship would be quickly assuaged by the shiny objects in Place Vendome right next door. Who cares about parks when La Mom can ogle Van Cleef & Arpels? I bet you a dinner at Jules Verne she'll be missing her digs one she's back in St. Louis. Get out of Jail Free Card: This card only applies to couples with private safety deposit boxes that rival Fort Knox. The ones the French tax inspectors just got wind of. Owners of prime property will be summering in the Caymans – perhaps permanently. Slept with Another Expat’s Husband Card: Do not pass Go. Do not collect 200€. Go directly to the suburbs. The car-burning ones, not the swanky ones out past Neuilly. 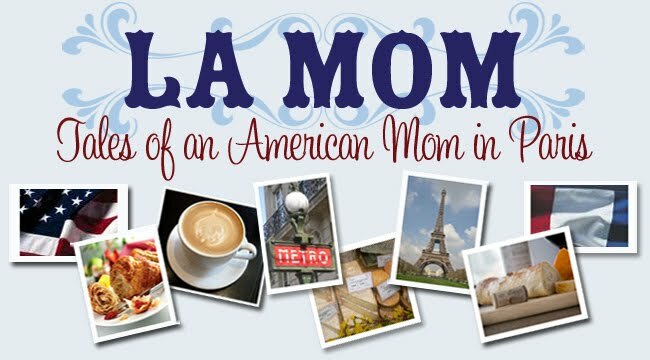 Come back soon for more MOMopoly with La Mom, your Parisian BFF! Wow, I never thought of how snarky ex-pat Mom life can be. They should do "real housewives of paris" soon! Sorry to hear these women make you feel jealous. I´m even more sorry to hear that your German friend has no respect for her employees and needs to call them servants in order to pump herself up. Did your midwestern friend arrive in Paris straight from 1953??? Who in the world uses the term, "to small to CONTAIN the mess"? It sounds made-up. I certainly hope these women are figments of your imagination or their pretentious behavior is overexagerated for the sake of entertainment. I can´t imagine people so foolish actually exsist. @Anonymous In a way, you're right, these women are imaginary -- but based on real conversations and real situations. I did know a German family a few years ago in a very similar situation. Same for Midwestern Mom. And there are a lot of other stories WAY more pretentious than this, believe it or not. Friends? Not exactly. The expat world is a small one and you meet a lot of different kinds of people, a lot of whom are in town on a three-year contract. You quickly learn to draw a line between real friends and acquaintances. And c’mon, who *wouldn’t* want to live in a triplex apartment in Paris?!? oooh you give moi such a laugh!!! ah, expat moms politics. There was so much of that in Westchester, with the German School New York moms. I am so glad to be rid of that now, because Zurich just doesn't have the same swanky effect. Also, I don'y have to hang out with private school moms anymore. Yay! You are hysterical!!!! I was just looking at my blog ...Ho Hum, and it is 3 AM and I stumble or your flippin Momoply thing.....I had to read it and now I am wide awake!!! Maybe you will want to add a twitter icon to your site. I just bookmarked this url, but I must do it by hand. Simply my suggestion. Yep it is hard to make "friends" in the expat life. My friends from back home ask if I had made any friends, my response well sort of...Not the kind of women I would share a few bottle of wine and have real heart to hearts with. But they are supportive after our immediate family all we have is each other. Paris in itself is a playground and being outdoors far exceeds anything going on inside an apartment no matter how big or small. If these "ladies" don't get that, they don't deserve to be living there. From reading your blog, YOU get it and know how to enjoy it. Seems like the secret is out on Mommy Dakota, urban VIP, and far west of where she should be.